If you knew me in real life, you'd know how much I love Starbucks. Their drinks are delish, of course, but even more than that, I love their rewards program and their customer service is some of the best! Since I love it so much, I thought I'd share my favorite holiday drink with you. 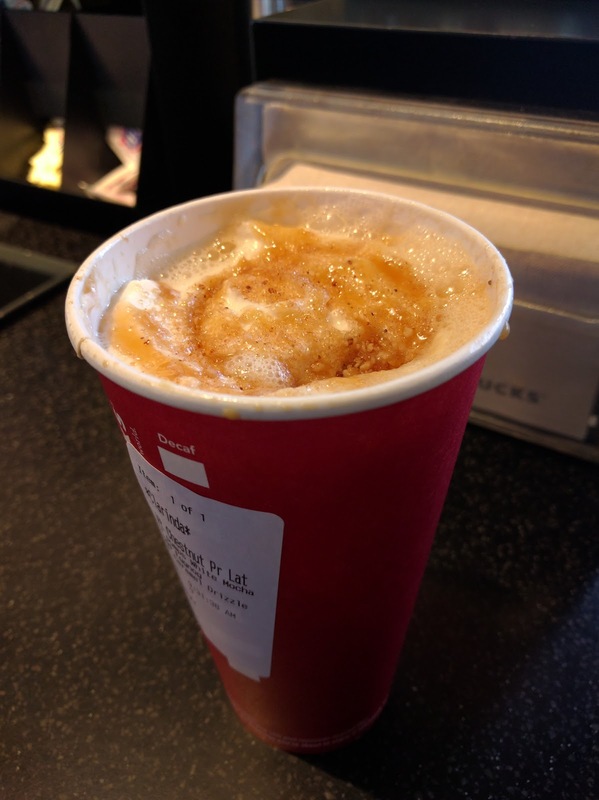 It starts with a venti Chestnut Praline Latte. Have the barista add 3 pumps of White Chocolate Mocha, sub the milk with eggnog, and top with whipped cream and a light caramel drizzle. O.M.G. It's a little taste of heaven. Try it. You won't be sorry. Are you playing #StarbucksForLife? It only just started on Wed, and I've already earned 50 points for playing and have gotten lots of game pieces. So. Much. Fun! HAPPY FRIDAY!! Have a terrific weekend. Are you a Starbucks fanatic? Do you ever make your own customized drink? I confess I've not had coffee at Starbucks lol I usually get cold tea, then I went away last weekend and the girls got me addicted to cake pops and coffee lol and i have the app on my phone...there goes me budget! It's definitely not an everyday drink, but it's an awesome treat. I am a tall with non-fat milk and no whip cream. Sounds like you try to keep it healthy. Good for you!